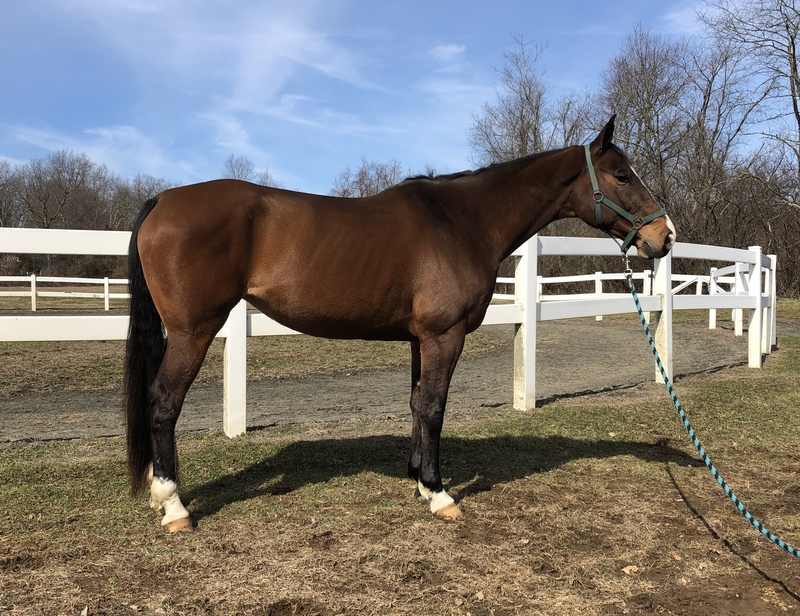 9 Bay Warmblood Cross Mare, 11yo, 16.1 hands, Pretty mover, athletic and graceful, very sweet personality with a very willing and kind attitude. She has her lead changes and is confident to the jumps. Her gaits are easy to sit, and she is super smooth. She has a nice transitions, will pick up either lead, pivots on the hindquarters, lateral movement, backs. She would be idea for a rider looking for competitive but quiet! She has excellent ground manners, clips, easy to bathe, groom, catch, lead, load, haul, stands tied well, easy to pick feet, saddle, bridle, stands for mount and dismount, and quiet for the vet and the farrier.